This is especially true if seniors are unprepared for the costs of elder care. The expression “what you don’t know can’t hurt you” is not applicable in this case. What you don’t know, or fully understand, can definitely cost you. 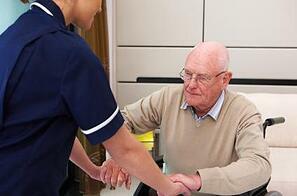 The majority of elderly persons prefer home care over any other care setting. Thankfully, innovative technologies such as home care systems and home care software have helped more seniors enjoy home care than ever before. Home care systems and home care software such as ClearCare Online have been developed to provide better care at affordable prices. Recognizing the value of such home care software – with regards to personal care and finances – is an important first step when researching elder care options. This list may seem overwhelming, but the key is to thoroughly research each option one at a time. Ask for personal experiences from friends and family, and take their recommendations into consideration. Elder care costs vary from state to state, but studies show that nursing homes are typically the most expensive care setting. Retirement communities or assisted living facilities may not provide the level of care and supervision that your elderly loved one needs. Not all home care agencies employ skilled and certified caregivers, or offer real-time, point-of-care updates with home care systems or home care software. These are all important issues that need to be addressed before you make a final choice. Hasty decisions often mean hefty price tags. It is wise to begin your research before the need for elder care arises. This will give you and your family the time you need to fully understand the pros and cons of each option, and determine what choice is best – and most affordable.